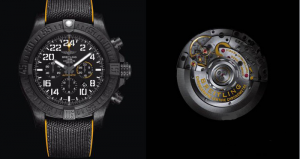 Facing the competetive watchmaking market, Breitling has just been proving itself by self-developed movements and products with high performance and good quality. 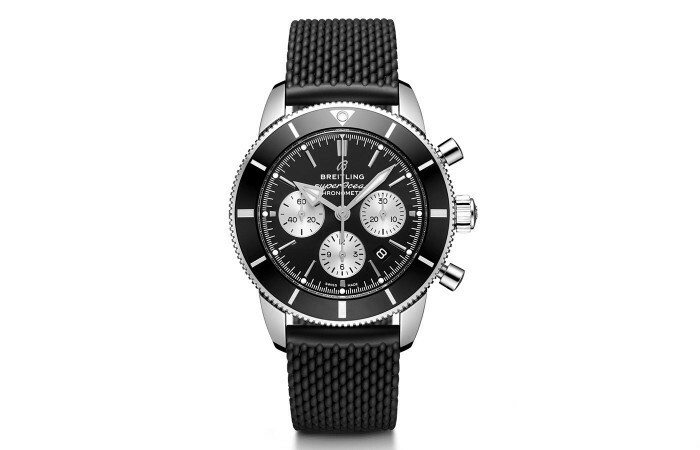 I have introduced Breitling Chronomat 01, Cal. B04, Cal. B05 and Cal. B35 in the previous post. 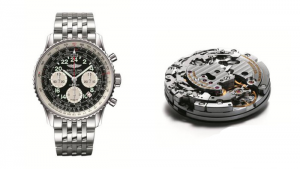 The following content is about the introduction of Breitling other movements. Breitling B06 was equipped with 30-second chronograph from 1926’s patent of innovation. It takes only 30 seconds for central timming hand to go around the dial. The timing accuracy extends to 1/8 second. Intermediate stop clock drive chain and chronometer stop clock drive chain were replaced by a part with the best deceleration function. 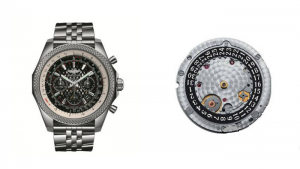 Only Breitling For Bentley B06 watch is equipped with Caliber Breitling B06. Besides, Bentley B06 watch has another global exclusive patented technology-Variable speedometer which can figure out average speed by rotating the bezel freedom from time, distance or speed, a good example of Breitling for Bentley watches. Caliber Breitling B02, which was based on Caliber B01, followed two features of Breitling Cosmonaute watch wron by Major Scott Carpenter in 1962-24-hour display and manual winding. With distinct column wheel timing device, 39 jewels and high-frequency (28,800 vibrations per hour), Caliber Breitling B02 was mounted on New Breitling Navitimer Cosmonaute watch which is famous for the first Cosmonaute watch that went to space. 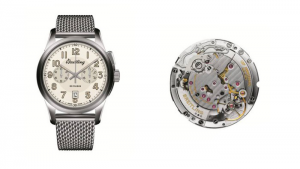 At 2016’s Basel Fair, Breitling launched Caliber B12 with 24-hour military time display. Thanks to self-winding mechanism, the movement supplies inexhaustible power for Breitling Avenger Hurricane watch. In 1915, Breitling invented the world’s first independent timing button at two O’clock. In memory of the history of Breitling watchmaking and the milestone, Breitling Transocean 1915 Chronograph watch was launched. To make sure the timing button continue to keep “Start-Stop-zero” operating function, self-made self-winding B14 was developed successfully by Breitling watchmakers and technicists. With three-stage mechanism and double-layer timing control system, “Start-Stop-zero” operating function works well. Thanks to patented double-layer column wheel, the movement can match with many other parts of B01. It has the best reliability and simplifies the after-sales maintenance process. 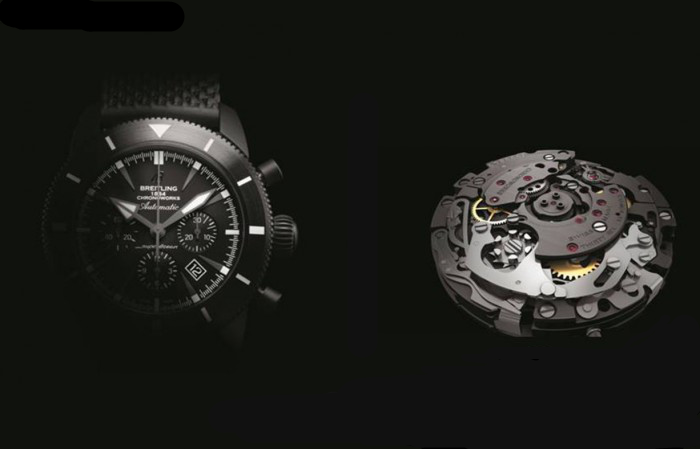 As the cooperative partner of airline business, Breitling pursues excellent performance of a movement. Breitling was successful in developing Caliber 01 Chronoworks® based on Caliber 01. 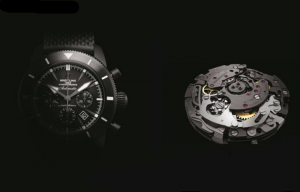 Excellent performance of Breitling 01 Chronoworks® was improved significantly by five major efficiency-enhancing innovations: ceramic baseplate and bridges, silicon wheels, silicon escape system, variable-inertia balance wheel and seconds pinion with elastic toothing. As a result, its power reserve was enhanced from 70 hours to 100 hours. Breitling Superocean Heritage Chronoworks® Limited Edition watch with Caliber 01 Chronoworks® made its first appearance at 2016’s Basel Fair.